." This week&apos;s winner is "The place to be" submitted by Joe Hengel. 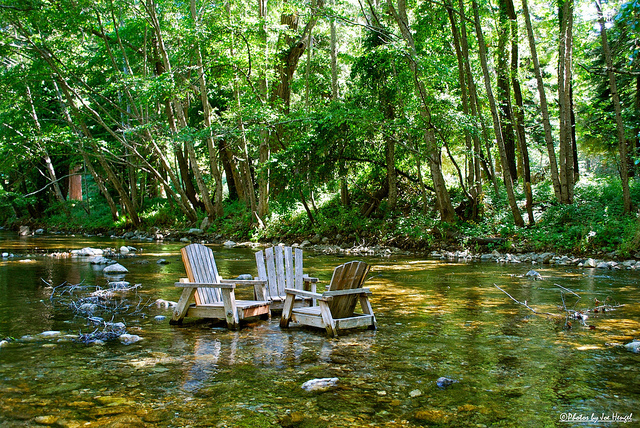 The Big Sur River Inn provides the ultimate in relaxation! Kick back in one of their Adirondack chairs nestled in the Big Sur River and simply soak in Big Sur&apos;s majestic redwoods and serenity. The on-site restaurant serves up great cocktails and on Sundays you can enjoy live music on the outdoor deck.